Are you “okayest” too? Join the Okayest Moms community! I’m rated #38 in Twin Blogs?! Say whaaat?! 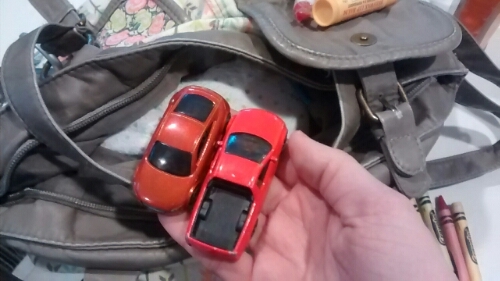 You know you could make an entire blog about what you (purposefully OR accidentally) keep in your purses. Below are the items I removed from my purse this week that didn’t belong in there. Note: I have excluded necessities (such as diapers/snacks) as well as trash (which is plentiful), and I still have all this to show! 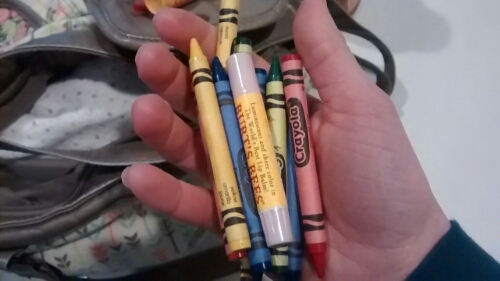 Unused crayons even though my kids never color. Good thing I found these before summer. 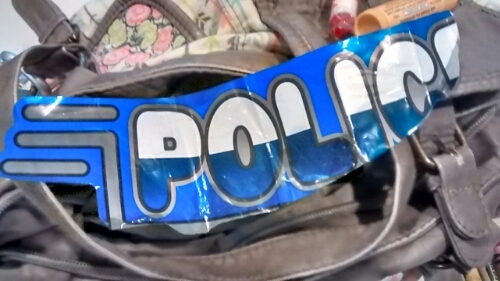 The sticker that they ripped off their Cozy Coupe ride-on car… because, you know, I might glue it back on one day? 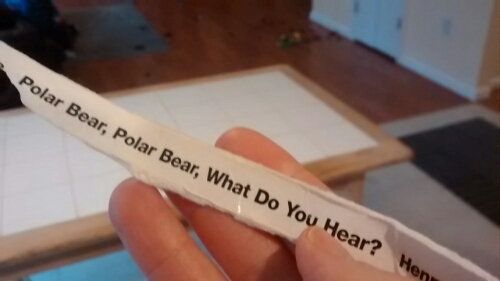 The spine to a beloved board book… because, you know, I might glue it back on one day? 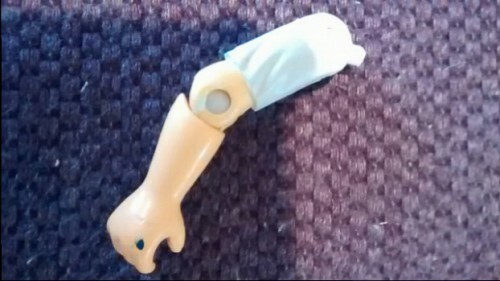 This tiny arm. I have no idea from what body it detached. As long as none of my kids aren’t missing arms, we’re good. 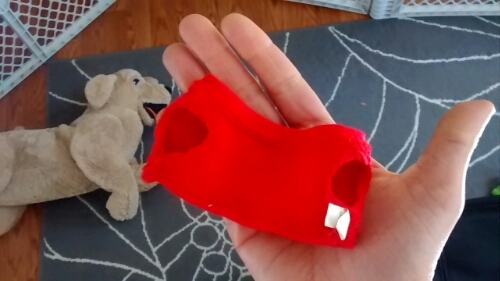 This tiny T-shirt, which I found inexplicably acting as a tourniquet for one son’s leg. 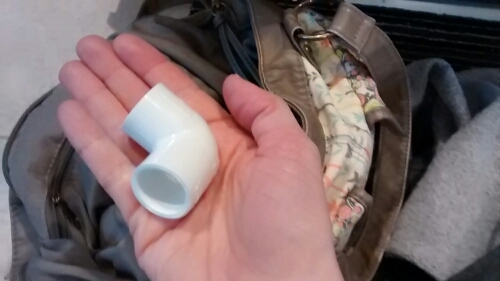 And, ta-da, a swiped PVC pipe fitting! I can’t imagine how much more I would find if we ever actually left the house. And what have you found in your purse this week, dear readers? In contrast, I began carrying a purse again. I got tired of carrying the huge diaper bag in everywhere. Currently it has my wallet, a diaper for each kid, wipes, spoon, applesauce, and cup for my oldest. expired coupons, empty gum wrapper, broken ink pen, broken pencil, loose change, Clasp from stop watch, extra coffee filter not used in experiment, empty lip gloss, empty sudafed packet, and a ball of klenexx (not sure used or fresh). One of my students asked me if I’m a hoarder…maybe he looked in my purse.